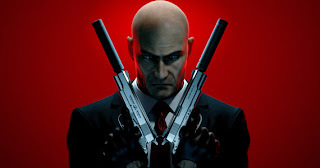 After I saw Hitman at Eurogamer I was excited it looked stunning and I couldn’t wait to get my hands on the full game. The first thing that you’ll notice and there’s no way you can miss it is how beautiful the game looks the levels of detail on just about everything are amazing and the lighting effects blur the line between reality and video games whether it’s from sunlight or the police departments flashlights. Walking around outside in the rain is also pretty spectacular as you watch the rain roll of 47’s bald head and drip onto his jacket. The game starts with a neat tutorial that’s mixed with an introduction to the story and it teaches you all the basic controls in a fun way that doesn’t leave you feeling bored and wanting to skip it.